Apple has just announced yet another milestone for its popular App Store: 50,000 applications are now available in the store. 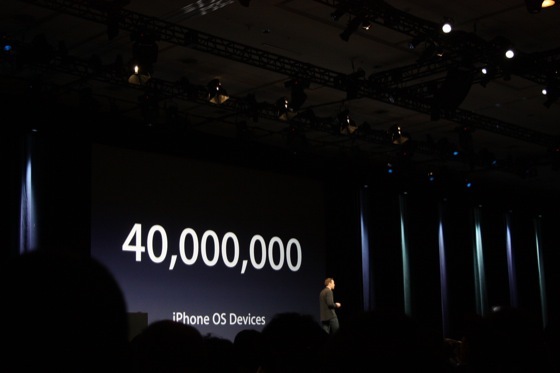 The announcement was made at the WWDC event in San Francisco, alongside the news that Apple has sold some 40 million iPhones and iPod touches. This follows Apple hitting its 1 billionth app download in April, and 35,000 apps later that month. The platform shows no sign of slowing down and that’s bad news for rivals, including the new Palm Pre, which launched on Saturday with about 49,981 fewer apps. 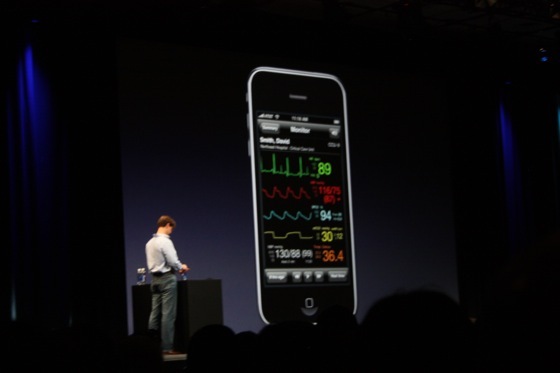 Apple went on to show off some of the iPhone 3.0 features — there are over 100 new ones, and over 1,000 new APIs. Unfortunately, it looks like MMS support in the U.S. won’t be available until later this summer — an AT&T hold up, apparently. 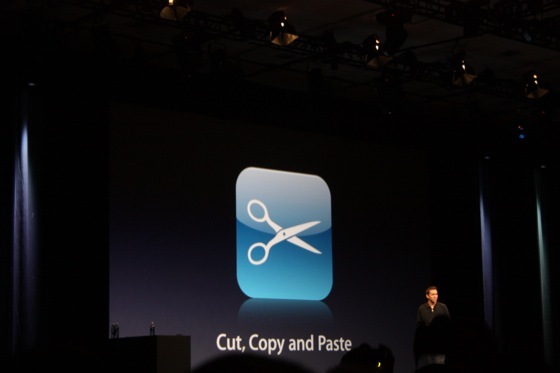 As we already heard previously, cut, copy and paste will be in 3.0 — something desired by many users for a long time. Apple also unveiled a way to rent and purchase movies right from your iPhone through iTunes on the device over the air. You can also buy TV Shows, music video and audiobooks. There is also now iTunes U support on the iPhone. It looks like Apple has finally figured out the tricky parental limitation issue, as this is now built-in to the iPhone. This works not only with movies and TV shows, but more importantly with apps. This should resolve some of those silly application rejections in the App Store now. Tethering will now work with both Macs and PCs. It works wired through USB or over Bluetooth, Apple calls it “seamless,” indicating that it is super easy to set up. It will be rolling out “later.” Which drew jeers from the crowd. 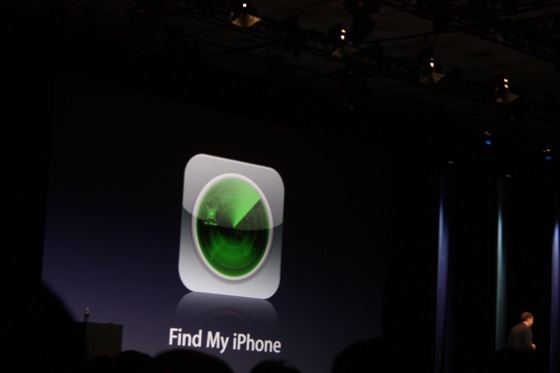 The new “Find My iPhone” feature drew cheers. If you lose your iPhone anywhere and have a MobileMe account, you can find exactly where your iPhone is on a map on the web. 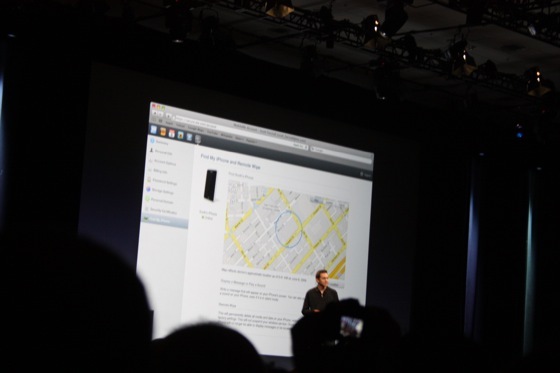 You can also ping your iPhone remotely, which puts out an alert noise to show where it is. And if it is really stolen, you can now send a remote wipe command, to delete everything on the phone. A nice feature. Demos of a health application in which you can remotely monitor someone’s vital signs, in-app purchases through a bookstore app and TomTom turn-by-turn navigation all drew cheers as well. A new ZipCar application is pretty cool. You can make the horn honk and unlock your borrowed car right from the iPhone app. iPhone 3.0 will be available June 17. Developers get the gold master today.